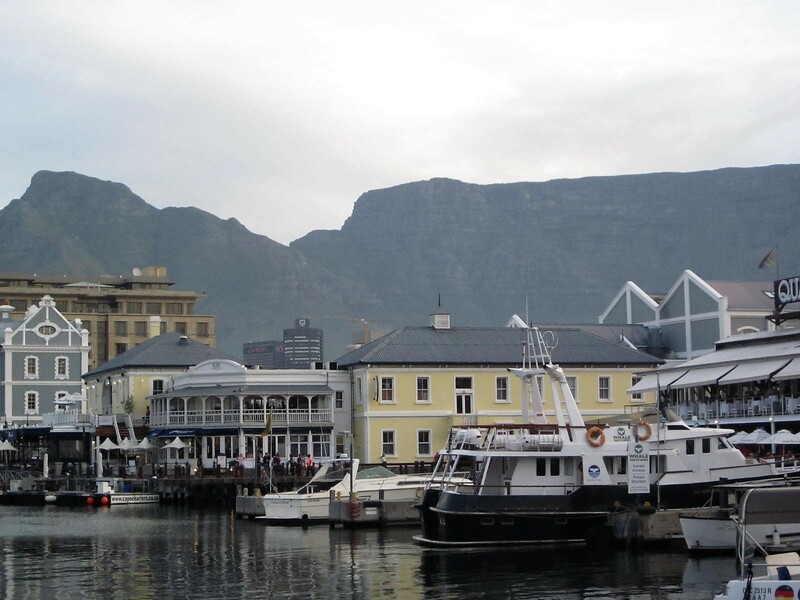 I’m going to assume that the historic Robben Island prison where Nelson Mandela was held, and the prominent landmark known as Table Mountain are already on your list of things to see and do in South Africa, so I’ll invite you to read my previous blog posts on those sites before or after you read this one. 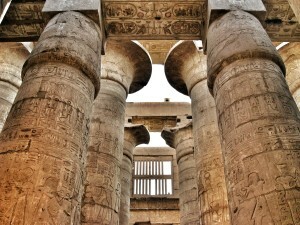 In the meantime, here’s a list of my other itinerary suggestions. 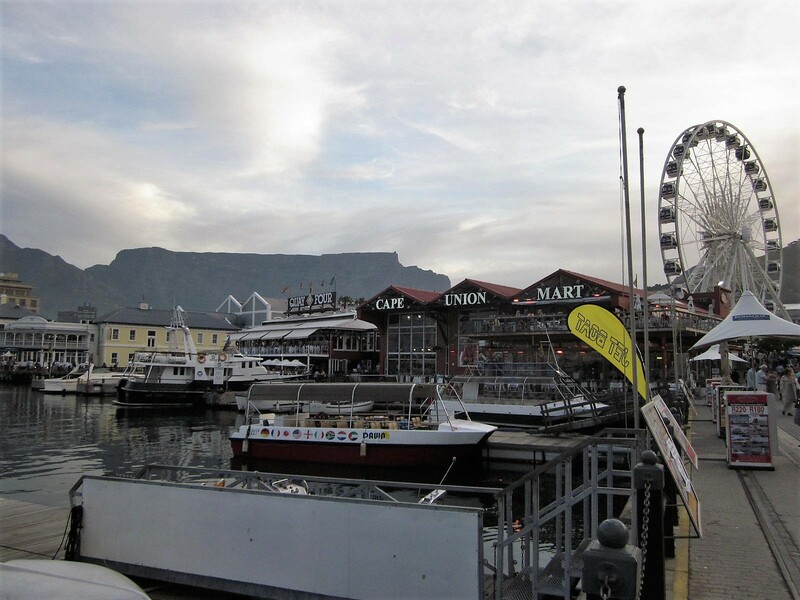 Named after Queen Victoria of England and her second son Prince Alfred, the V&A Waterfront is a cultural mecca that attracts millions of tourists annually. It is a vibrant seaside venue with activities that run the gamut from day to nighttime activities. Think jovial bartenders and pubs teaming with happy customers; restaurants offering a wide variety of menu items; retail shops; cinemas; and more than 20 historical landmarks. It’s also South Africa’s oldest working harbor, which makes it easy to imagine the hustle and bustle of the days when it was a major trading port. Take a guided walking tour during the day to learn how the Dutch, British and African cultures converged to create this unique city. Then return after dark to enjoy the nightly entertainment and feast on dishes made by chefs from all over the world. Tip: I ate at Karibu Restaurant because I wanted to sample traditional South African cuisine. Oxtail was my must-have entrée. (You can tell me what cuisines you decided on in the comments section). 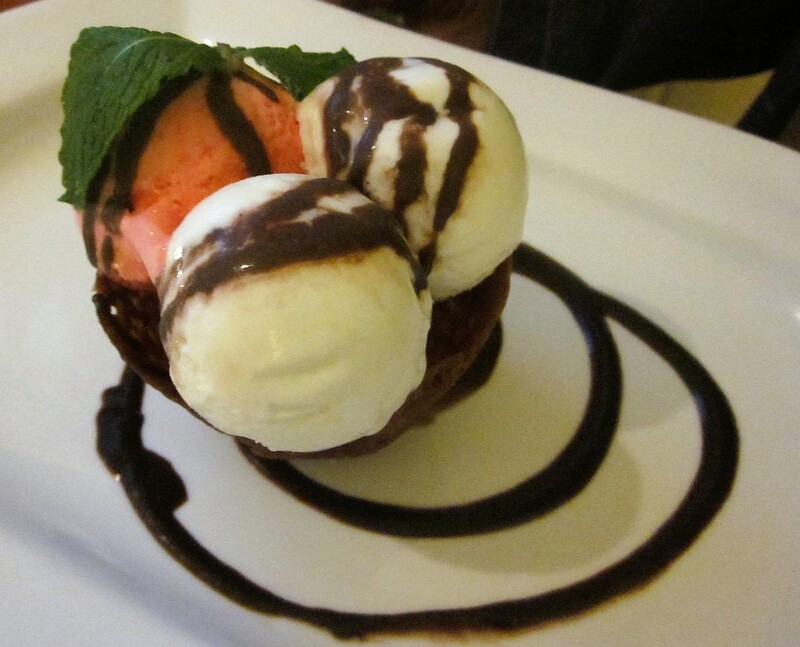 However, no matter where you dine, you MUST try the Malva Pudding. It was my favorite South African dessert! It’s sinfully sweet, with a spongy caramelized texture. 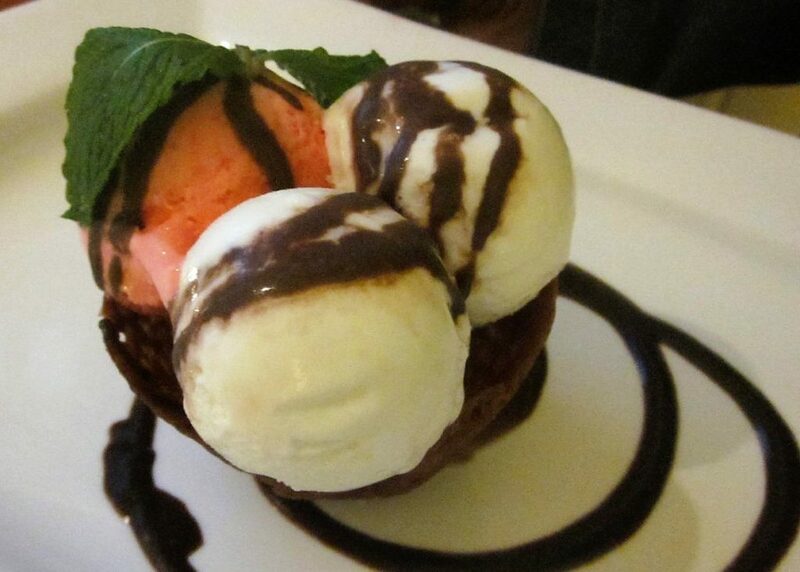 There’s a hint of apricot jam in the flavor, and it is usually served piping hot with vanilla ice-cream on the side. 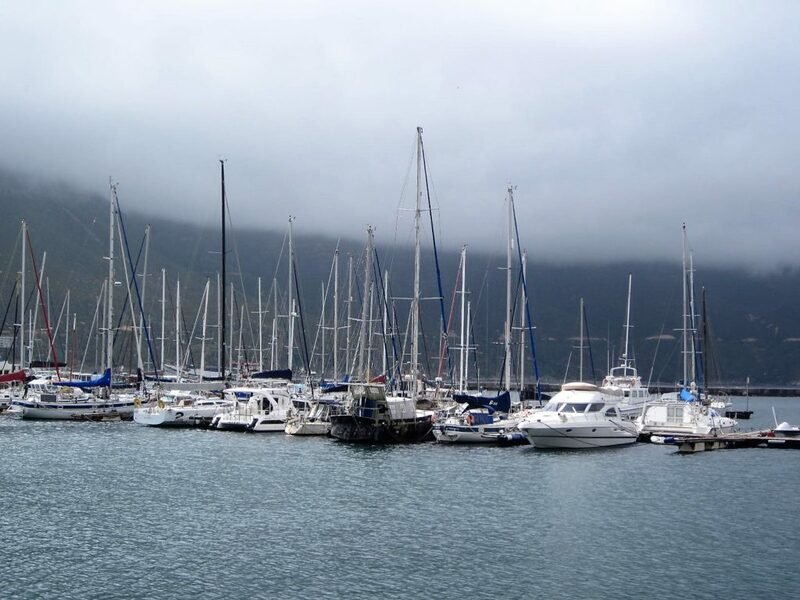 Take a scenic drive along the Atlantic Ocean to Hout Bay, the site of a former fishing community that has been transformed into a chic residential community. 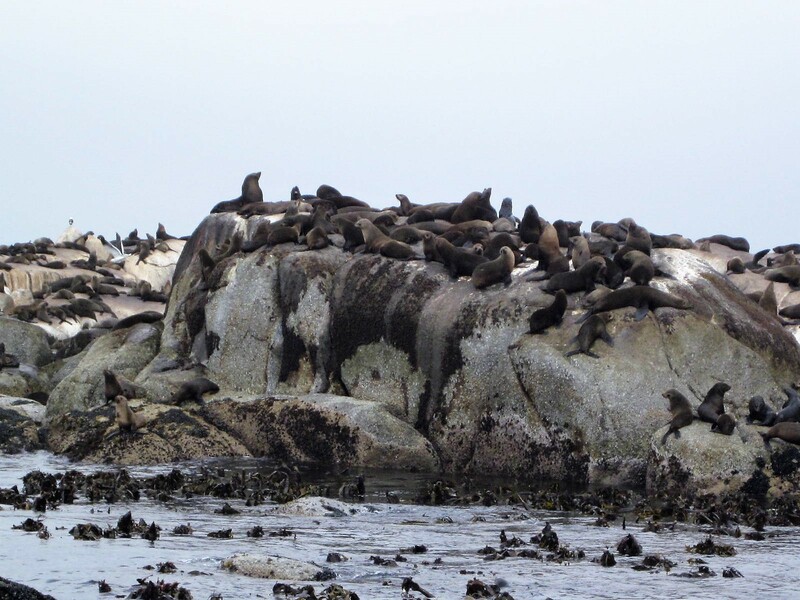 From there, you can take a ½ hour cruise to Seal Island where you’ll see more than 60,000 mammals of varying sizes and shades of brown jockeying for position along the jagged rocks. There’s no place to disembark, but you can watch from the boat as the Cape fur seals stretch, arch, slide and use their flippers to scratch themselves while you take pictures. Expect unusual noises! They squall and squabble like competitive siblings fighting over a stick of candy. If the timing is right, you might even witness a National Geographic type circle-of-life encounter. I was told great white sharks that lurk in the area enjoy seals for dinner, so flying attacks that display impressive Jaws-like moments are not that uncommon. I didn’t see any on my trip though. Tip: Pray that your boat captain stays upwind of the island because all that brown loveliness gives off a distinct odor. 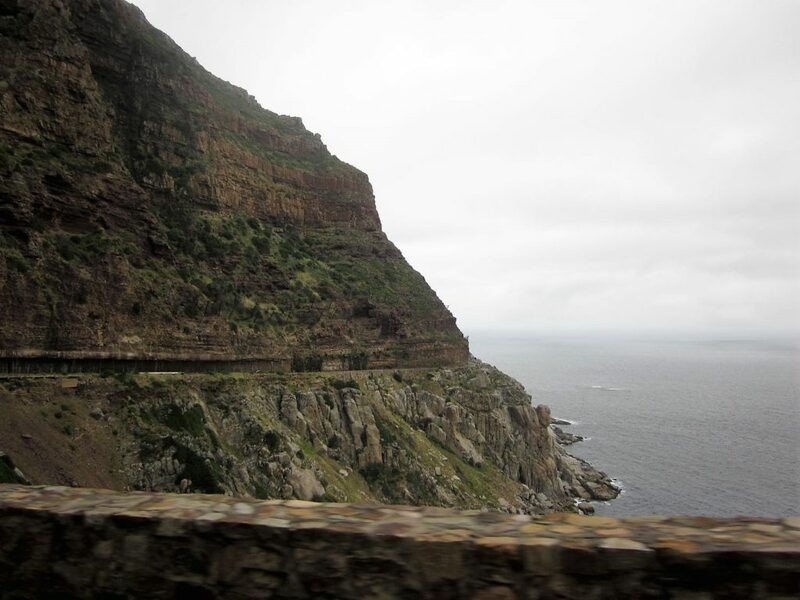 Words aren’t really enough to describe the sheer beauty of Chapman’s Peak Drive, arguably the most scenic 5 ½ miles you’ll ever come across in one consecutive ride. 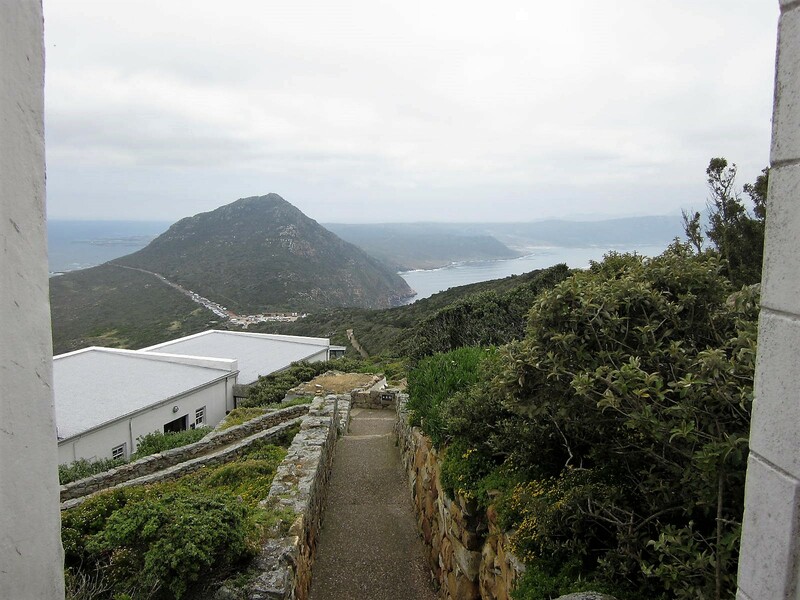 Built in the early 20th century on top of a layer of granite, Chappies (as it is lovingly referred to by locals) slithers through the side of a magnificent mountain in the Cape Peninsula. The 200-meter cliff drop on one side of the vehicle contrasted with the 200-meter rise into the hills on the other gives you a sense of awe, and triggers incontrollable goosebumps at every hair bend turn. With stunning coastal vistas at almost all of its 114 bends, you must have your camera ready to capture the spectacular scenery along the way. If you’re renting a car, be sure to plot your trip carefully ahead of time and mark the allowed stops. 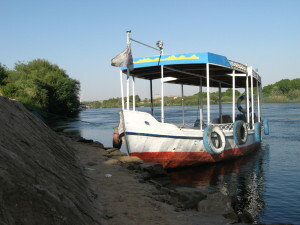 That way, you can focus on the scenery instead of your map while cruising. Believe me, James Bond won’t have anything on you! Here’s an interesting side note for car buffs. 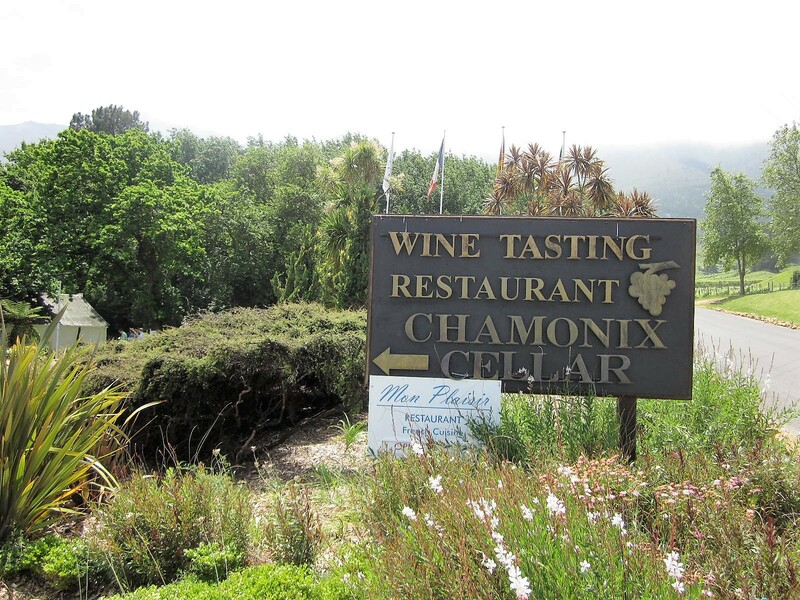 I wasn’t surprised to hear Chapmans’ Peak was the location of luxury, high-performance car commercials for brands like Mercedes Benz, and that it inspired one cheeky retort ad from BMW called “Beat the Bends”. Guess what? That ad was pulled off the air after only one week because it violated South Africa’s competitive advertising laws. If you’re curious to learn more, you can find a history of that little rivalry here. The BMW commercial that’s still talked about in advertising circles is below. (In case you are wondering, the label attributed by this YouTube author, which is a play on the 114 bends in the road and the similar sounding word Benz, should have said Beat The Bends.). Go on a clear day, because the road is closed to traffic during severe weather conditions. 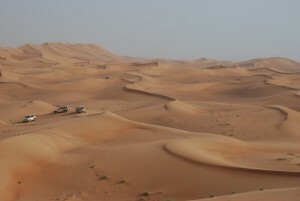 Also note that the toll for driving the route is around SAR31 per vehicle. If you happen to be in South Africa on the second Sunday in March, be aware that it will be the scene of the annual Cape Town Cycle Tour that averages more than 34,000 cyclists. It might also be wise to avoid it near the middle of April when the Two Oceans Marathon is in full swing. On the way, stop at Camps Bay, where you’re likely to see dolphins at play. Beaches that you’ll pass usually have a flag system. Black means the visibility isn’t clear, white means there are sharks in the water, and green means it’s safe to swim. If you’re a stickler for water quality, check to see that the beach you decide on is designated as a Blue Flag beach. That accreditation is a globally recognized one only given to stretches of shoreline that meet the highest standards of environmental management, safety, services and guest amenities. 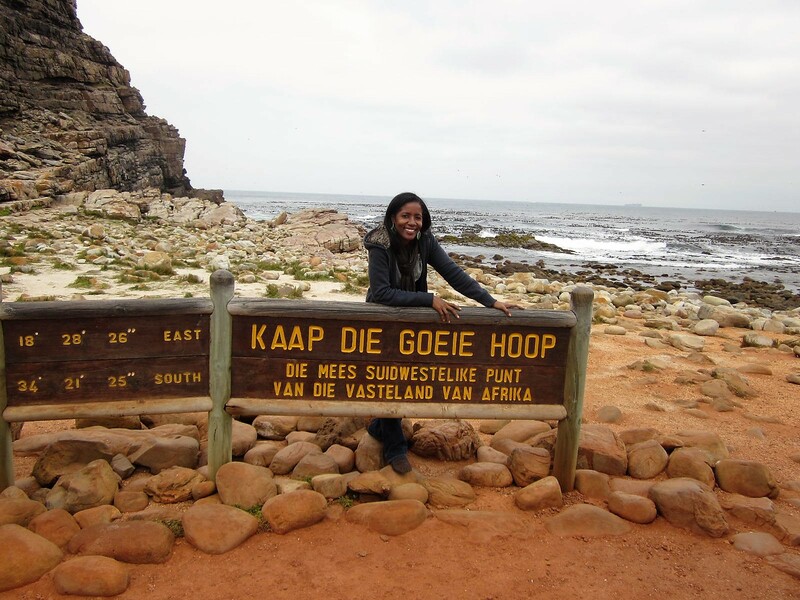 You can’t visit Cape Town and not go to Cape Point and the Cape of Good Hope – a place that is often erroneously touted as the southernmost tip of the Peninsula. 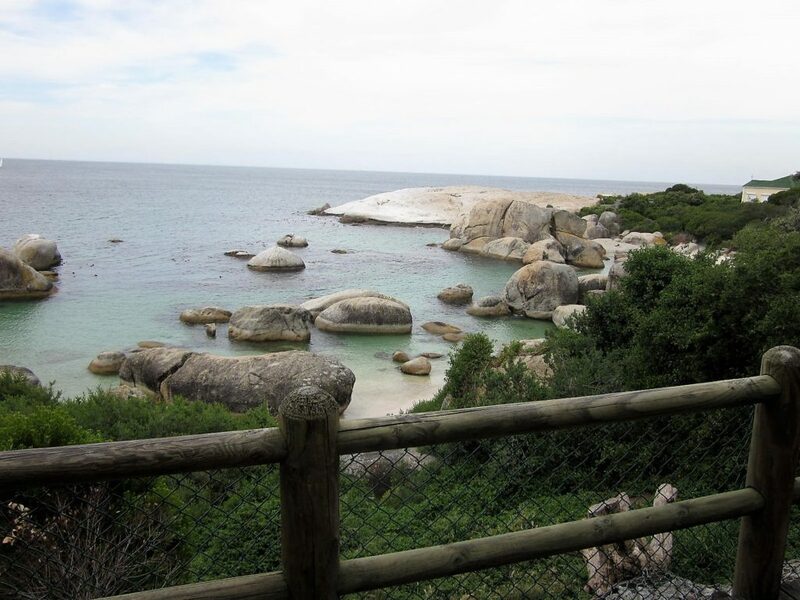 At Cape Point, which is just about 60 kilometers from the city, you will see a large variety of birds and many species of reptiles and small mammals. 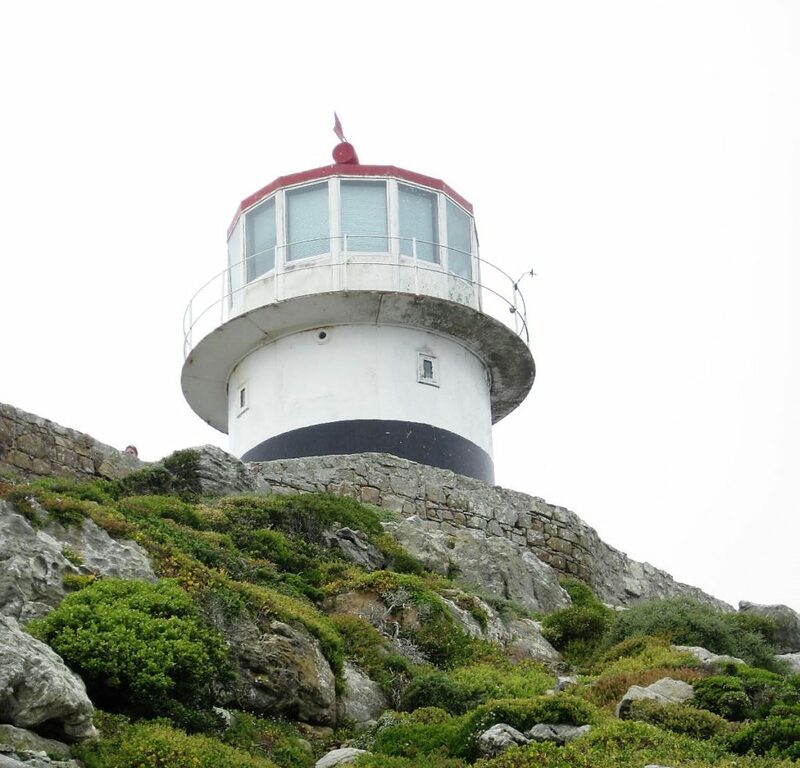 You can also hike to superb lookout points to enjoy panoramic views of beaches and rolling hills, and at the end of your strenuous cardio workout, a historic lighthouse awaits. The Cape of Good Hope, the second of the two most famous landmarks within the Table Mountain National Park used to be a stopping point for trading ships. 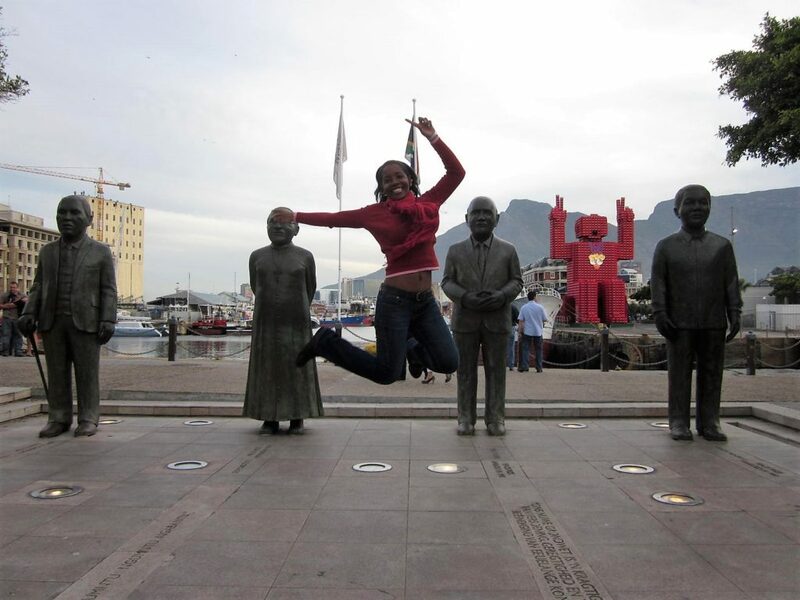 Today, it attracts tourists instead of sailors who yearn for that obligatory vacation snapshot in front of the world-renown sign you see in all South African holiday albums. You can snap your pic before the English or Afrikaans sign. 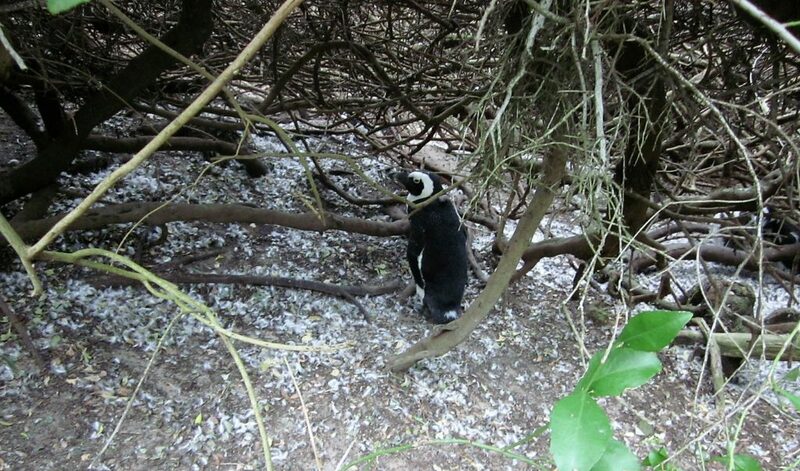 On your way back, stop at Boulder Beach near the naval base of Simon’s Town to see the Jackass Penguin Colony. Warning: Don’t be tempted to feed them. 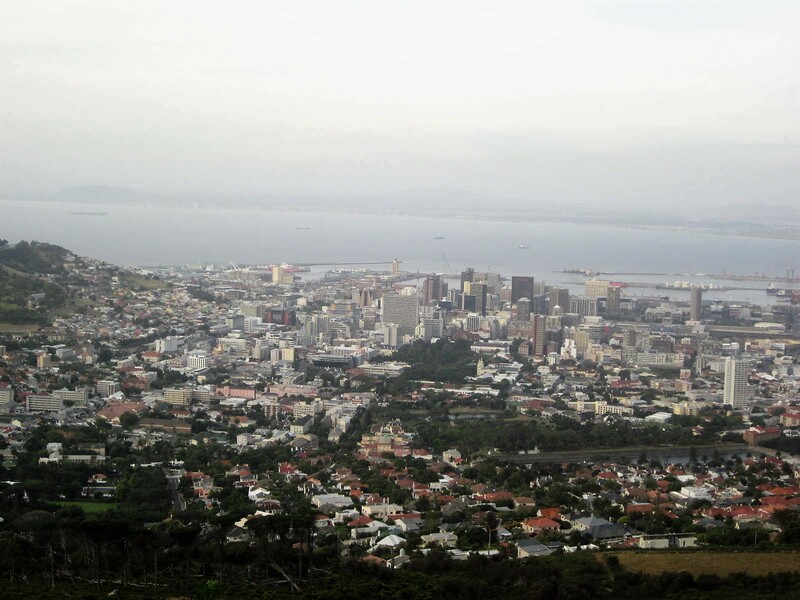 Local folklore has it that the Simon’s Town was named after a man who used to share his pints with soldiers from the Royal Navy. Surprise, surprise: he reportedly died of liver failure. 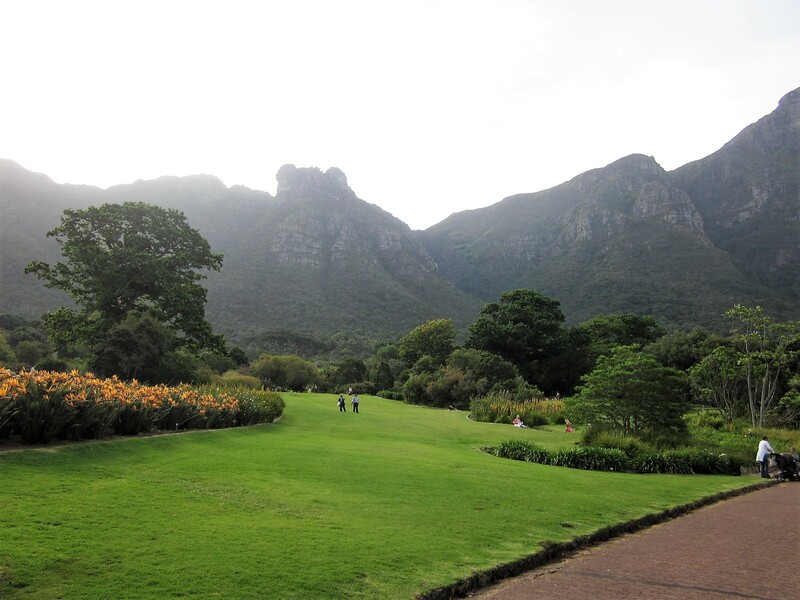 Also, devote some time to roam Kirstenbosch Botanical Gardens, home to at least 3,500 species of South African flora and fauna. According to 2016 estimates, South Africa ranked eighth in the world in wine production, and the country produces about one billion liters annually. 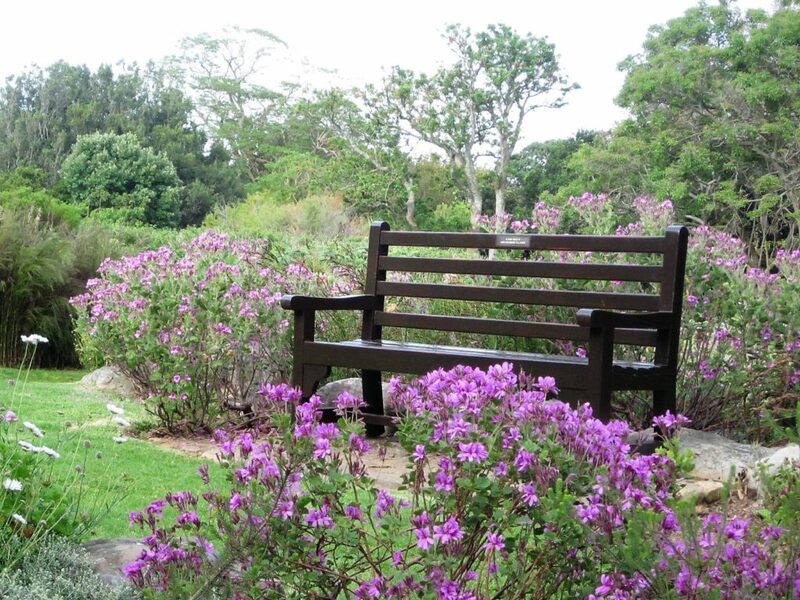 Naturally, I recommend setting aside a day to visit the Winelands. Even though I’m not a wine aficionado, I enjoyed it! The town of Stellenbosch, which is about an hour outside of Cape Town, sits at the center of the oldest wine routes in the country. 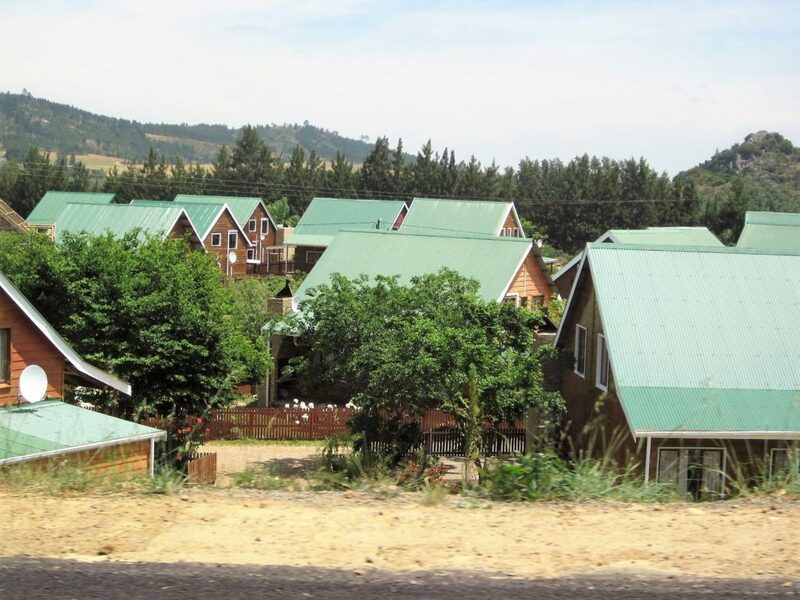 It’s a picturesque little village bordered by the dramatic outline of the Hottentots Holland Mountains on one side, and Dutch-style architecture homes and oak-lined streets on the other. Our tour guide, Terrence, told us that investment policies allowed many persons to benefit from grants to develop their own vineyards and some have gone on to produce award-winning wines. 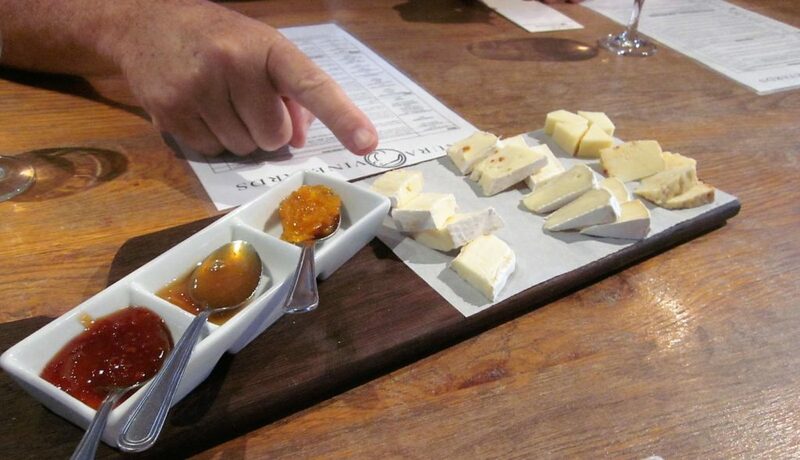 I visited Nelson Creek Estate, Anura Vneyards, Asara and Chamomix Cellar for wine and cheese tastings. 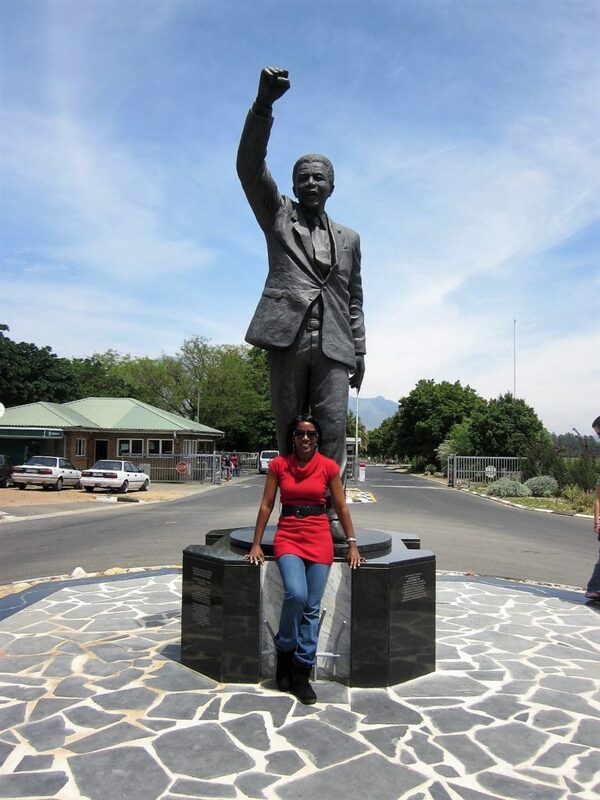 After the libations, take time for a photo stop at Groot Drakenstein prison, the historic place where Nelson Mandela was released in February 1990. 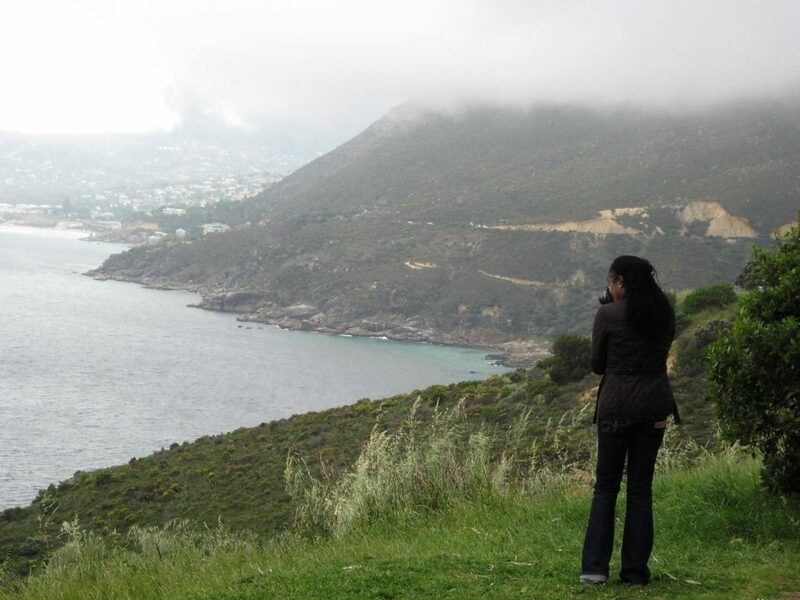 If you’re not rushed, also go for a brief stroll through the towns of Paarl and Franschhoek. Random wine barrel trivia: The life of an oak barrel is cyclical. When used to store wine, the barrels last about 3-4 years. After that, they can be used to store whiskey and brandy, but upon retirement, they are used to make furniture and flower pots. Read my fun account at the Thorny Bush Reserve here. If you’re hoping to take home neat souvenirs, get your haggling game(i.e. 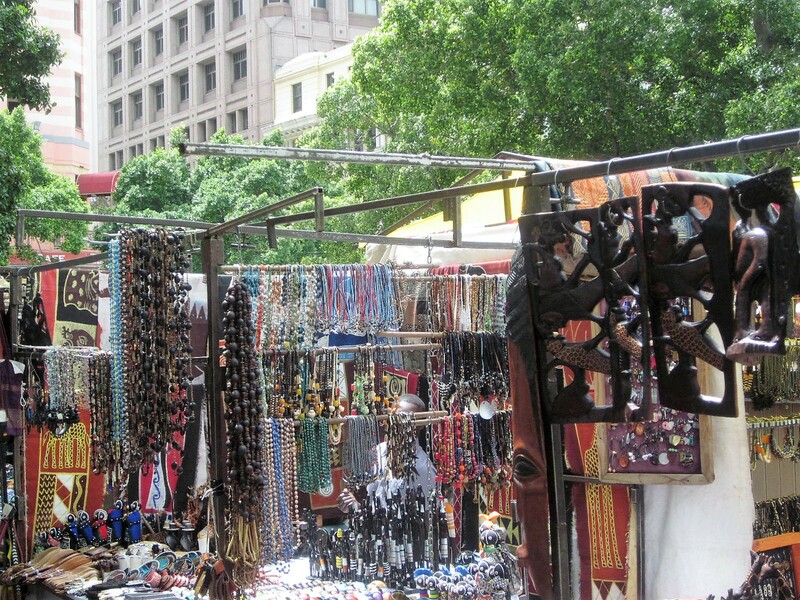 negotiation skills) on point and go check out Greenmarket Square in the heart of Cape Town where vendors peddle anything from wooden yo-yos to colorful fabrics, wall art, baskets, bowls, beaded jewelry and sculptures. Tip: The price on the tag is always negotiable. 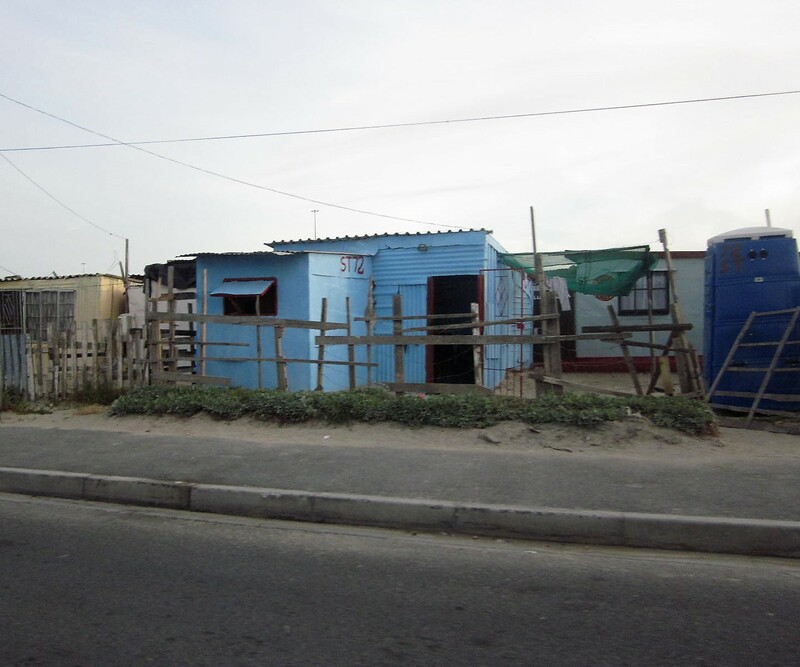 We met a Jamaican-born missionary living in South Africa, and she took us into Khayelitsha, the most populated and fastest growing township in South Africa. 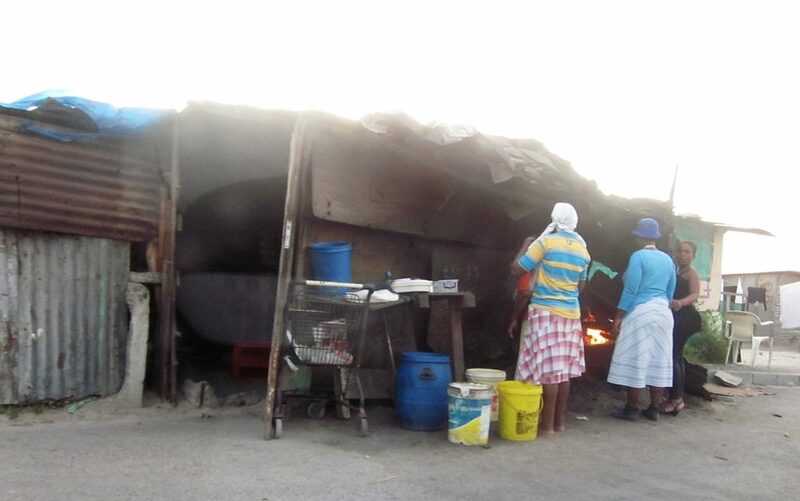 Established as part of the Group Areas Act in the days of apartheid, the living conditions are painful to observe. Millions live in leaning and drafty shacks, and sanitary conveniences like toilets and standpipes that gush sporadic water provide only a fraction of what is needed to support the community. It’s a vivid reminder that all that glitters is not gold, and a standing testament to the ugly remnants of a system of oppression. Even with the little they have, they seemed resourceful and content though. I’m not sure how it will affect you, but it made me appreciate things I sometimes take for granted! 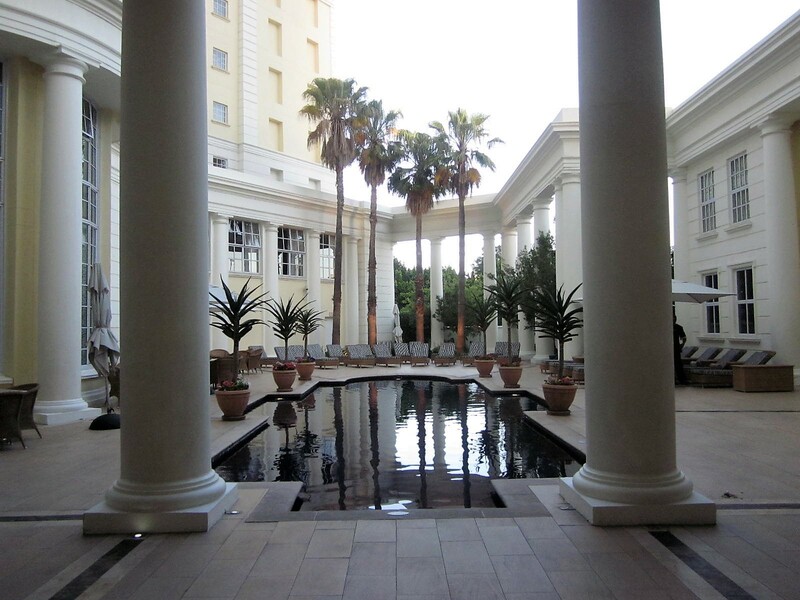 If you’re looking for hotel suggestions in Cape Town, I stayed at the stately and elegant Cullinan Hotel, approximately 25 minutes from the airport, and walking distance to the V&A Waterfront. The breakfast buffet (included in the rate) featured tasty hot and cold items that changed daily, and the pool, hotel gym and ladies cocktail bar were all hot spots. The staff was friendly and courteous too!